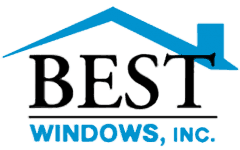 Best Windows, Inc. is not your average window company in Chicago. 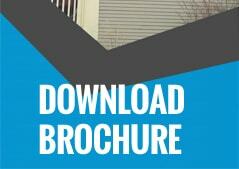 We also offer a wide range of roofing, siding, remodeling, restoration, and patio building services. When you are looking for the right remodeling contractor to help with a new project, make sure to let us know. Not only will we work with you throughout the design process so you get exactly what you want, but we will also see it through to completion. How can you go from drab to fab with a new home remodel? Expand your deck or patio to create an outdoor oasis for family gatherings, BBQs or bird-watching. Lounge in the sun, watch the clouds float by, or keep an eye on the kids in the backyard. Turn your boring kitchen into a stunning space to work your culinary magic with new cabinetry and counter tops. You’ll feel like the host of a cooking show with your new surfaces! Remove walls between bedrooms to turn two tiny areas into one spacious study, library or media room. You could even opt for a master bedroom with space to model your favorite clothing as well! Create a man cave by adding unique stonework to the floor or walls, or by turning the ordinary fireplace into a gathering spot for the guys. If you can dream it, we can help make it happen. Our remodeling contractor can offer opinions and suggestions on the right design plans, and will work with you to get exactly what you want in the finished project. We use the best materials, provide high-quality workmanship, and strive for 100% customer satisfaction in everything we do. If you have any questions or comments about our remodeling services, please don’t be afraid to contact us!